Congratulations! Your service will be great for the community. The combination of Chinese and Western medicine is an interesting concept. I know of friends who have been helped by traditional Chinese medicine and many say it is the wave of the future. I am a fan of Tensiology. Coming into the treatment, I had severe musculoskeletal pain all over the body, much of it chronic. I had been to doctors of Western medicine to get checked out, and all my tests were normal. However, my doctors seemed to miss the pain each time, and medications were not helping. Then a neurologist suggested I had multiple sclerosis (MS). I had experienced traditional forms of medicine before (acupuncture and herbs) with decent success and decided enough was enough. One day I decided to walk into Chi Wellness Clinci at Waltham and give his unique tensiology treatment a try. Not going to lie to you, but it will have you feeling pretty sore if you're super tight! Like a good workout sore. It's okay to express yourself. After four treatments, I feel much looser and much of the immediate, daily pain has subsided. My tingling and numbness have lessened. I have fewer headaches. Most importantly, my body is healing itself naturally, and I'm getting more in tune with my body to learn tension build so I can minimize its presence since sickness can be masked by or caused from it. I will be finishing up my treatment with Miles soon much more confident in my health and recommend it to anyone experiencing bodily pain. Hi Miles! I am so happy to chat with you again on Facebook. It has been so long since I was your patient. Your healing care truly changed my life. I am so grateful to you! How are you? I really can't understate how much your treatment affected my life. After years of back pain, and a sense of self that was limited by my physical pain, your treatment was a big turning point for me and I look back on it now as a miracle. Afterwards I was able to lose 100 pounds, enjoy a healthy lifestyle, get into yoga, and ultimately restore my sense of possibility. I truly cannot thank you enough for enabling me to get the most out of life. I am involved in Hilary Clinton's presidential campaign now, currently living in Iowa until Feb 1st, and likely to move to other states as the primary elections take place. I don't know if I'll get to Massachusetts before the general election in November, but I will certainly let you know if I'm able to visit. Please send your writings if you can! I would love to read your thoughts and philosophy. We will always be very grateful for the help you gave us with our little miracle, Patrick. Thank you. I began trying to conceive three years ago. After many failures in 4 IUIs and 2 IVFs, my husband and I decided to seek natural ways. We came to Chi Wellness Clinic at Waltham in September 6, 2012. I went through twice per week tuina therapy, acupuncture and herbal medicine. In one month, I found myself pregnant. Staff continued to treat me to prevent miscarriage until two months before my due date. Patrick was born two weeks before my 39th birthday. He is everything we could ask for and more. new joy to hold our hearts. Words can't express my gratitude. I believe I became pregnant so easily and naturally with Anna (born on May 21) because of your help. She is a beautiful, happy and healthy baby girl! My husband and I are so happy! I will see you again in the future as I prepare my body for another baby. You do wonderful work. Prior to coming to Chi Wellness in January 2006, I spent over 5 years trying just about every possible approach (traditional and alternative) in an effort to diagnose and treat a chronic hip and groin pain that had made it unbearable to sit upright for more than a few minutes or walk continuously for more than 15-20 minutes or so. Every test from MRIs to EMGs turned up negative. My problem seemed to be all in the soft tissues that resulted from many sports I did over the years. I tried every kind of stretching, yoga, massage, acupuncture, even 25 sessions of Rolfing. The only drug that had any marginal effect was Klonopin, which seemed to reduce stress and relax muscles but is only really masking the underlying condition. Soon after I started at Chi Wellness, I could see that the staff were dedicated to getting to the bottom of my issues and getting me back to healthy and sustainable functionality. I made a commitment to invest whatever time and financial resources would be needed. The first months of treatment were extremely painful and it has been a substantial investment, but the progress I have made after years of getting nowhere and a significantly limited lifestyle have been well worth it. Now, after 7 months of treatment at Chi Wellness, I have made great progress and just returned from a 2-week trip to Europe that involved hours of walking every day, some light hiking, and sitting long hours in restaurants and airplanes, all without any flare-ups or real discomfort. In January, I would never have thought this would have been possible. I think the difference that Chi Wellness has made can be attributed to several important factors. First is the expertise, analytical and holistic approach to diagnosis and treatment of Miles Chen, the director. Miles has a scientific background plus extensive knowledge of anatomy and experience with a broad range of modalities. Most traditional doctors are so specialized that when they find a problem that can�t be solved with their specialty, they give up. Many of the alternative therapists I worked with, although more holistic and caring in their approach, just did not have the depth of knowledge of the human body or the analytical skills needed to diagnose and treat a complicated condition such as mine. The second factor is the customized and individualized attention given to every patient. The comprehensive treatment plan is developed with an optimal combination of different therapies. Experimentation is done to find out what works best for each client. The third important factor at Chi Wellness is the education that Miles provides about the how of the diagnosis and treatment so that the patient can really understand what is going on with their body and how to evaluate the progress from session to session. In addition, the mind/body connection, the role of stress, and one�s lifestyle are continuously discussed in a truly holistic approach. The fourth critical factor to my progress with Chi Wellness has been the intensity and frequency of treatment. This has meant 1-2 hour treatments at least once a week, sometimes twice a week for many months. It is now clear to me that this was necessary in order to break through a condition that was built up over a life time of cumulative stress and injuries. I had developed severe breathing difficulties during my two failed attempts to summit Mount Everest. I had previously run nine Marathons, was an avid climber and could not believe I was having shortness of breath. I had tried several different therapies and many different doctors to try to find answers to my problem, but did not get any improvements. I came to Chi Wellness Clinic in April 2006. I received regular Tuina massage therapy and occasionally acupuncture, and began to feel my back and throat were severely tight After two months of coming twice weekly for treatments I am finally noticing a big difference. I am now running forty miles a week and my breathing is getting easier, although not normal yet. I am very encouraged by the results I have obtained and never would have believed that muscle tension could lead to such a severe problem. I am hopeful that I will have a successful attempt to summit Mount Everest next year. I suffered from uterine fibroids for 3 years and had surgery to remove them. My symptoms of heavy bleeding and anemia persisted and a hysterectomy was recommended. I came to Chi Wellness looking for an holistic alternative to further surgery. After 6 months of regular acupuncture, herbal medicine and Tuina, my anemia is gone and my physicians are speechless. I am amazed to have regained control over my body and my health again. I had a miscarriage in February 2004. I felt tired and rundown. I came to Chi Wellness in May 04. They told me it would take at least 3 months to get my body to "hold" a baby. I had acupuncture treatment and also took the recommended Chinese herbs. And I discussed with my physician the list of the herbs before I started taking them. The treatments relaxed me and made me feel energized. In September 2004 I became pregnant naturally. I continue the acupuncture treatments. Things are progressing nicely now. I highly recommend acupuncture for any type of fertility issues. The people at Chi Wellness are very knowledgeable and comforting. The first time I went to Chi Wellness Longwood Clinic was on August 2003. I had been trying to conceive for 2 years, and my condition was diagnosed as "unexplained infertility". At that time I had just finished my first IVF cycle, with very disappointing results. In addition, I was very depressed, anxious and suffered severe headaches that impaired my ability to have a normal life. I resorted to acupuncture and Chinese herbal medicine as a last resource, hoping to at least feel more relaxed. I had acupuncture twice a week. After only about 4 sessions my headaches were completely gone. I also had several sessions of Tuina massage to further improve my circulation. I had much more energy, and was feeling upbeat and optimistic about the future. 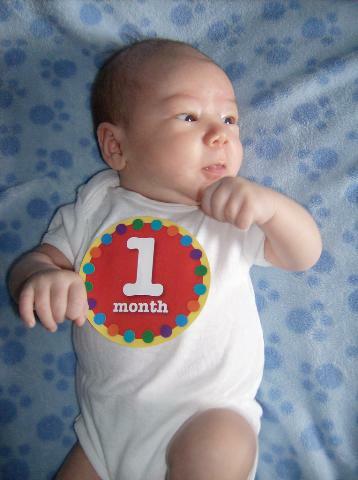 On November 2003, I started a second IVF cycle. This time the results were drastically different. I had no side effects from the injections, went through the retrieval and implantation with no pain at all and recovered very quickly. Twenty three eggs of great quality were retrieved , and eighteen of them fertilized. I managed to have acupuncture immediately after the implantation of four embryos. On January 2004, I found out that I was pregnant with twins. I continued having acupuncture and Tuina treatment throughout the pregnancy, and it helped me improve my circulation. It was also great to control my morning sickness, nausea, and back pain. The people of Chi Wellness went out of their way to help me. They took the time to really understand my body and how it works. They asked a lot of interesting questions and always had great insight to explain my symptoms. They were caring and committed, and I felt very comfortable. I am convinced acupuncture and herbs made a great difference in my effort to overcome infertility. Interestingly, I was under the same protocol of medications between my first and second IVF cycles. Nothing had changed. Today my husband and I have two beautiful and healthy babies. I will always be eternally grateful to Chi Wellness. My husband and I decided to have children. I went off the birth control pill after 11+ years of use in December 2003. In May 2004, I still had not gotten a period. My gynecologist suggested taking more hormones to induce a menstrual cycle, but I wanted to try something more holistic. I found the Chi Wellness Longwood Clinic in my online research of various remedies. I started bi-weekly acupuncture treatments and a daily herbal medicine regime. Less than 2 months later, I got my first "real" period! I eagerly awaited to see the result of the next cycle. Instead of another period, I was pregnant. I am positive that the acupuncture and Chinese herbs are responsible for bringing my reproductive system back into balance after years of taking synthetic hormones. I would highly recommend this treatment for any woman who encounters reproductive issues or irregular menstrual cycles coming off the pill. My journey to health has been frightening, painful and long. Almost ten years ago I was in a car accident. I suffered a concussion and was blind for a few weeks. I also could not walk. To my immense relief my sight came back. My legs were weak and I could not feel my feet. I would lose my balance and fall forward. I was having a lot of pain in my calves from just trying to stay upright. I went to doctors who could not help me. My stomach began to hurt and I began having a hard time keeping food in my system. I began having gas pains. I was diagnosed with IBS (irritable bowel syndrome) and given some pills to help. I could not tolerate the pills. Then came sinus infections added to the list of medical problems. Everything was beginning to take a major toll on my emotional well being. We started checking out alternative medicine in earnest. I had tried many holistic practitioners including an acupuncturist, nutritionist and naturopathic doctor, to no avail. My combined symptoms were too overwhelming. I closed my business because I was too ill to work. My husband and I were going into more and more financial debt because I couldn't work and had to pay for treatments out of pocket. My husband was working a full-time job in Cambridge, MA with an hour and a half commute. He was doing all the cleaning, grocery shopping, cooking and care of our two dogs. I was getting more depressed and frightened. Four months ago, my husband found Chi Wellness Longwood Clinic. And we made an appointment for that very afternoon. This was no small feat as I had not been out of the house in a long time and was terrified to go so far away from home feeling so ill. I could not walk or stand on my own and people at Chi Wellness helped me get around and were very nice about it. With my husband at my side I received Tuina massage. They let me cry and considered it part of the healing process. They listened when I spoke. I did not feel embarrassed or ridiculous as I have at other places. They explained that my muscles were much too tight which would affect my circulation and wreak all kinds of havoc in my body. They never promised me anything though and I felt they were being honest and realistic with me. And once again I did not feel so alone with this terrible debilitation of my body. I began to go to Chi Wellness twice a week. It was painful for me, but each session brought more sensation in my body. I had not realized how much of my body I had lost. I could not feel anything in my legs or feet and it wasn't until I began feeling numbness or tingling that I knew I was coming back. With each session the treatment reached deeper into my muscles and I could feel when my muscles began to loosen and then to stay loosened. Then acupuncture was added as well. As my muscles loosened I was able to have needle insertion. After a few weeks of this I began drinking Chinese herbal tea. The herbal tea has been a huge help and still is. What I like most is the tea and everything else done at Chi Wellness is natural. The folks at Chi Wellness are kind, concerned and professional with a true human awareness. At Chi Wellness they treat not only the health issues you walk in with but the emotional ramifications as well. They also offered suggestions on nutrition, meditation, resting, and relaxing that were extremely helpful. I began to look at my thinking process and try to adjust my attitude toward a more positive, forward-looking wellness process. Through the teachings at Chi Wellness and a look into another culture, I am learning to listen to my body more. I take the time for myself in a world where a quick fix is about all you're offered. It has been approximately four and a half months since I began treatment at Chi Wellness. Presently I go to Boston for a Tuina session every two weeks and drink the herbal tea everyday. I don't have sinus infections, fevers, and chills. I do not have panic attacks. I sleep six to eight hours every night. I eat healthy meals and have no diarrhea. I have the occasional headache but nothing like before. I take short walks on my own nearly every day and longer walks with my husband on the weekends. I play with my dogs. I can do light house cleaning. I stretch my muscles and feel my muscles. It is a slow process but a steady process and it feels right. I began a work-at-home part time job. I have adult Acne on my face and back. Years of using creams and antibiotics, and visits to dermatologists didn't show any real results. At Chi Wellness, I was treated with acupuncture and herbal medicine. For the first time I feel like my adult Acne is under control, and I was treated naturally. The staff at Chi Wellness take personal interest in each patient. I look forward to seeing them every week. My mobility problems started over a year and half ago. After seeing three neurologists and having countless tests, I was preliminarily diagnosed with primary lateral sclerosis (PLS), but there was no clear pathology. I was extremely discouraged. Now with a few months of Tuina massage therapy and acupuncture at Chi Wellness, the extreme stiffness is lifting, and my walking is improving. I feel more optimistic about my future. In January of 2003, I was diagnosed with a severe case of Rhabdomyolisis. The cause is unknown, but after the disease was gone, it left me unable to walk for more than 20 feet or So. I was in severe pain all of the time, as all of my muscles and tendons in my legs were inflamed, and in a constant state of spasm. In April of 2003, Western Medicine doctors had no further insight nor any solution to my affliction. At that time I decided to call Chi Wellness. The individual attention I receive from the staff at Chi Wellness is unlike anything I have ever seen in Western Medicine. Instead of a broad-based cookie-cutter approach, they look at each person individually, and constantly make necessary changes to my treatment as I progress more and more. I currently receive acupuncture, massage therapy, and herbal medicine. At this time, I am light years away from where I was in April. Instead of the almost round-the-clock care that I received then, I now can go for days at a time on my own, I can drive again, and can walk for up to five minutes at a time, and the pain has diminished significantly. Although I cannot say exactly when it will be, I expect a full recovery from this disease. I am getting my life back with the help of the practitioners at Chi Wellness. "We had given up hope of having a baby after we tried IVF (in vitro fertilization) and failed four times. One day I saw the sign for Chi Wellness in the neighborhood and decided to take a risk. We gave one more try. My husband and I went through acupuncture, therapeutic massage and some herbal treatments along with IVF. We had a healthy baby boy in April 2003. The care and professionalism we received at Chi Wellness changed our lives for the better. We can't begin to thank them enough." I started massage therapy and acupuncture at Chi Wellness Longwood Clinic in December 2001 for a rare form of distal muscular dystrophy, Myoshi Myopathy. After two sessions, I was able to put pressure and balance my body weight on my toes - something I haven't been able to do for almost eight years. Although progress has been slow, I feel stronger and show improved muscle tone - a great victory for a progressive condition without Western medicine treatment options. I am impressed with the level of training and concern shown for my condition. Although not much is known about Myoshi Myopathy, the Chi Wellness clinicians are constantly evaluating my treatment and offering new ideas for my sessions. After four months of treatment, my doctor at the Neuromuscular Unit of Massachusetts General Hospital (MGH) is impressed enough to recommend the therapies to others. I think Chi Wellness is definitely improving both my condition, and my quality of life. I had chronic shoulder pain to the point that it was impossible to comb my hair with my right hand. I came to Chi Wellness Longwood Clinic earlier this year. After a series of weekly acupuncture and massage therapy treatments I have improved greatly. I know it is important to keep up the treatment on a regular basis, once a month, for example, to assure as much flexibility in the present and future." I had a repetitive injury that turned chronic in January of 2002. Repetitive visits to a physical therapist proved futile. I was not sleeping, and had constant fatigue and pain. Western medicine provided not much relief. It was not until I received massage therapy and acupuncture at Chi Wellness Longwood Clinic that my pain diminished. I started feeling like myself again. If you have any kind of chronic pains, Chi Wellness is the answer. I am indebted to you. In mid-June 2002 I starting experiencing extreme facial pain which was diagnosed as Trigeminal Neuralgia. Trigeminal Neuralgia is an intense "electric shock" pain known as the most painful condition in medical science. This condition is very rare and has not been effectively treated by Western medicine in most cases. In fact, some sufferers endure years of agonizing facial pain, fear of pain, and loss of employment before being recommended for one of several brain surgery techniques. Unable to work, scared by Trigeminal Neuralgia horror stories I had read, and faced with the prospect of living with a painfully debilitating disease for the rest of my life, I turned to Chi Wellness Longwood Clinic for help. Relief was immediate and my pain was reduced significantly within 3 weeks. After 2 months of twice-weekly acupuncture and alternate weeks of Chinese herbal therapy my pain and the fear of pain has been completely eliminated. The staff at Chi Wellness is very caring and very effective. Chi Wellness Longwood Clinic gave me life back. Thank you! For the past 30 years, ever since the birth of my son, my leg, feet and ankles have been swollen abnormally. It does not hurt but I have always felt it was a symptom of something wrong internally. However, the physicians say, "Do not worry about it." "Acupuncture and herbal medicine from Chi Wellness have caused a slow but dramatic change so I can now see the bone structure of my feet and my ankles look normal. Chinese medicine is not a quick fix, like popping a pill or having surgery, but it has no harmful side effects, and it works. Now the leg and foot swelling is gone. Staff at Chi Wellness have also helped me overcome chronic insomnia caused by pain in my left hip, which was waking me at night and disrupting my sleep.I am grateful to the skilled and caring clinicians at Chi Wellness for this slow miracle. I had foot cramps in both feet and a very painful heel spur condition in one foot. I would have trouble walking for the first few minutes after waking up in the morning. Since my favorite exercise is walking, this pain was interfering with my life-style. After the first treatment of acupuncture plus therapeutic massage I felt a little relief. After four treatments I could walk for as much as one hour. After two months of weekly treatments the pain was gone. I continued weekly treatments over the course of this winter and now I can walk as much as I want. Now I am using acupuncture to enhance both leg strength and overall well-being. Chi Wellness creates a soothing environment where healing can take place. They are welcoming and professional to clients and make you feel part of a Chi healing community. The massage therapy is very effective. Before the session my muscles were tight. Afterwards, I was feeling relaxed and peaceful. My body feels much better. Before I started treatments at Chi Wellness I had tried to limit my alcohol use without success. I also suffered from severe fatigue and depression. Shortly after a few weekly visits my cravings for alcohol began to subside greatly. I slept much better and began to also feel much better, and have a lot of energy. I had severe neck and head pains in the last three years. As a result, I could not wash my own hairs and could not sleep soundly at night. I had been to different places for treatments including chiropractic. Nothing helped until I came to Chi Wellness Longwood Clinic in October, 2001. I had initially weekly and then twice per week treatments of acupuncture and massage for four months. Believe me I can now sleep much better at night, and my pains are gone. I feel like a new person. I suffered from low back pains for many years. I came to Chi Wellness since the business opened in September, 2001. The acupuncture treatment I've had at Chi Wellness has been priceless. I came to Chi Wellness to quit smoking. After two acupuncture sessions, I stopped smoking."